There seems to be a robot theme going on at the moment, as only a few weeks ago we had a ZX Spectrum game called The Ship of Doom, which put you in control of Robot 1 who had been left behind by the crew on a space ship that was on a collision course with the sun. Yet now we have another robot game and again is a survival based ZX Spectrum release. 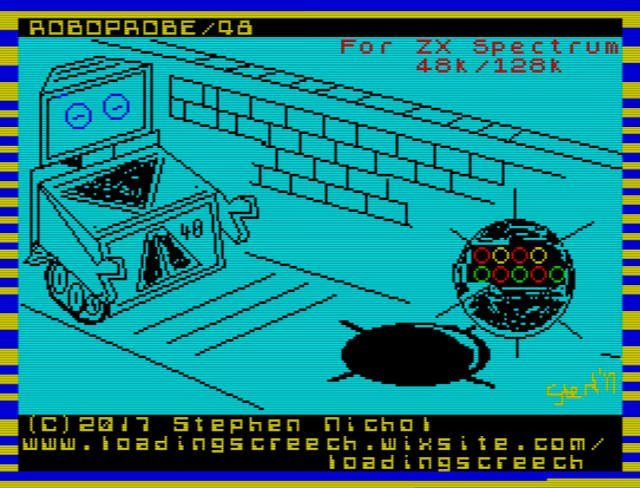 But unlike the last one, this game is called Roboprobe 48 and is developed by loadingscreech for the ZX Spectrum 48 and 128k whereby you play as a repair droid trying to stop a sabotaged space station colliding with a planet. 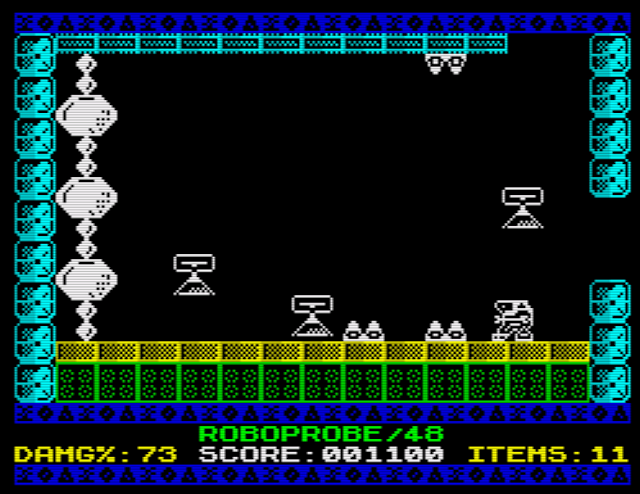 Roboprobe 48 was created using Arcade Designer and the aim of the game is to collect all the parts, gain a nice score and not take too much damage from all the enemies and the spikes scattered throughout the ship. It's a rather nice game that's easy to beat, but does have rooms that are too similar to each other and some of the enemies can spawn in the most annoying of places.